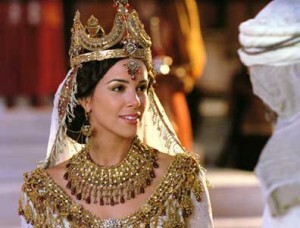 Esther was chosen to rise up as Queen during a dark period in Israel’s history. She was a young, beautiful and appealing Jewish exile who feared the LORD. But are we familiar with the scope of God’s plan and how far-reaching it truly was? God had elevated Esther to the position as Queen to King Xerxes over the Babylonian Empire. He had also convinced His devoted servant, Mordecai, that His plan of rescuing the Jews would take place regardless of whether Esther rose to the occasion or not. This was a time in history, and her life, that she could be used by the Sovereign LORD to bring “relief and deliverance for the Jews.” (v. 14) However; only one time, in the history and future of mankind, has only one man been chosen to bring redemption …and that man is the Son of God—Jesus the Christ. I don’t know about you, but I don’t want another to do what God has planned for me to do. I’m sure that this has already happened many times in my life . What we must keep forefront in our minds is the Sovereign Plan of God. v It is a plan of restoration and healing. v It is a plan of justice and mercy. v It is a plan of drawing us to Him so that He can redeem our lives. Redeem to live in the fullness of His love and joy. Esther recognized her position of prominence, but more importantly she realized her state of inadequacy. She stepped forward to request a time of prayer and fasting before bowing to the king to make her request. Rose to the occasion after kneeling before her God. What time is it for you and me? Time to speak to our neighbors, co-workers, family, friends, peers? Prayer: O LORD, Maker of us all, re-kindle the fire within our hearts. May we speak the truth in love, and live the godly life so that others will be drawn to You. Will you share a time God’s presence burned within your soul and you felt compelled to step forward in faith?